Derby County's won for the first time in nine games against Preston. Derby will check on the fitness of Bradley Johnson ahead of their home game against Bolton. 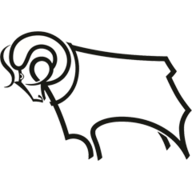 The midfielder unexpectedly missed Monday's win at Preston due to a foot injury as Rams boss Gary Rowett made five changes following the dismal defeat to Sunderland. Captain Richard Keogh was one of the players dropped and Rowett must decide whether the central defender remains on the bench on Saturday after an impressive showing from his replacement Alex Pearce. Andre Wisdom, Joe Ledley, Tom Huddlestone and David Nugent will also be hoping to keep their places after helping Derby win for the first time in nine Championship matches. Bolton will be without Jan Kirchhoff at Pride Park. The German midfielder is a fresh injury worry after suffering a pulled hamstring during the home defeat to Birmingham in midweek. Kirchhoff came on as a replacement for Karl Henry, who was substituted due to concerns about his own hamstring problem. Henry will be assessed before the team travels. Bolton boss Phil Parkinson will hope Darren Pratley can return to contention after missing the last two games because of a leg injury. Highlights of the Sky Bet Championship game between Bolton and Birmingham. Derby are unbeaten in 12 home league matches against Bolton (W8 D4) since a 2-0 defeat in September 1981. The Trotters are winless in their last eight league games against the Rams (D4 L4) and have lost four of the last five. Derby have won 65 points so far this season, more than in each of the last two campaigns after 39 games (56 in 2016-17 and 64 in 2015-16). 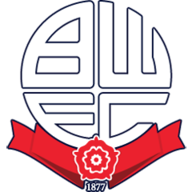 Bolton have won fewer points away from home this season than any other Championship team (11 points). They are winless in each of their last seven away trips (D3 L4). The Rams are winless in four home games, losing each of the last two. They last suffered three consecutive league defeats at Pride Park in September 2016. Despite leaving the club in January, striker Gary Madine (10) has still scored twice as many goals as any other Bolton player this season. However, Adam Le Fondre has scored four of Bolton's last seven league goals. Highlights of the Sky Bet Championship game between Preston and Derby. It wasn't pretty at Deepdale by any means, but Derby got their first win in two months and they'll be feeling so much more positive about their chances of holding onto a play-off spot now. Bolton looked like they were getting away from the bottom three, but back-to-back defeats has left them slipping down the table again, and they could get dragged right back into it if they lose on Saturday. I'm going to back a draw here, though.